First off, I had a baby! Baby human, not a baby horse. Although I did speculate how fun it would be to take baby bump pictures with my mare having a baby bump too… Anyway, this is why I have posted nothing new for a few weeks! However, it’s time to jump back in, so, here are a few links I’ve been wanting to share! ~ Here is a neat idea: Mobile Equine Therapy! Check out this interview as well. ~ This video about prison inmates in Arizona training wild horses. In the least, skip to 5:30 to hear one man sing to his horse. For more info on the program click here. ~ Do you know wearing gloves can relax the arm? Maybe they should be included in your toolbox of adaptive equipment! 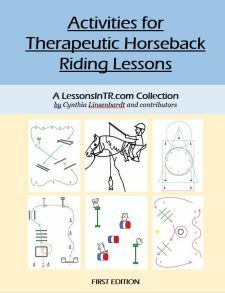 ~ Transition exercises for horse and rider that involve counting. ~ A nice little write up on the aids. ~ In the spirit of recent events, this post about How Being a Horse Mom Prepares You To Be A Real Mom. Lastly, I’m sending a call out for contributions to the blog! 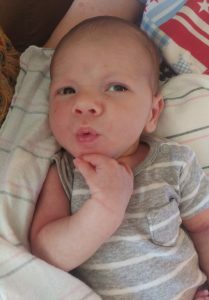 I’m taking time off from instructing to baby for a while, so while I have a ton of resources to share, I won’t have many new games and activities… but I would love to share yours! 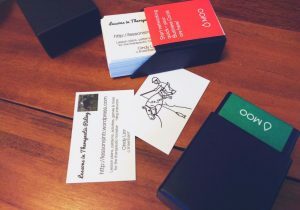 Send me your ideas using the contact form – either in note form and I’ll rewrite it, or all ready to go (pictures are an added bonus)! I’ve been having a vision impaired child counting how many steps his horse takes to walk down the long side and short side of arena. The goal is he will eventually ride on his own and know how to maneuver thru out the arena. Congratulations on your life-changing event! No better job in the world than being a mum and loving your family! Cindy! How exciting about the birth of your child! I understand if you don’t want to give information about her/him publicly. Have as much time and fun as you can with your darling baby….you will learn quickly how time will pass quickly with the stages of development. My 2 boys are now 23 and 24. What I would do to have them in my arms, cradling them close to me. I do get hugs at any time and any moment from them. But there is nothing sweeter than there smell and cuddle time! Enjoy!! Super congratulations! 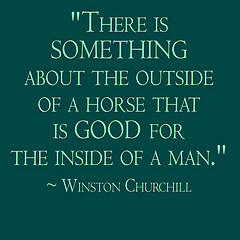 If you thought your love for your horses was great just you wait! Everyday gets better and better. Enjoy the small victories and the milestones. You have the best blog and it has helped me so much in becoming a better TR instructor! Thank you thank you! Congratulations – on your baby and for your fantastic blog! You have done so much research and put so much work into this – thank you. This will be extremely helpful for me, a mother of a boy with autism. We need you here in the UK!